Chelsea is as sweet as they get. Cory is as awesome as they come. Together they are a dynamic duo. Chelsea and Corey were married at St Teresa’s Church in Pawtucket, Rhode Island. For this reason I had been anxiously waiting to photograph their wedding. I knew from the time we photographed their engagement session that they had something special, and that special needed to be photographed. Chelsea and Cory were married the day before Father’s Day. The weather was nice and it complemented the day perfectly. It was a great ceremony and the priest had us laughing from the beginning to the end. He was the perfect priest to marry Cory and Chelsea. If you know anything about these two, you know they love to laugh. After the ceremony, it was party time. We celebrated at the Newport Marriott and it was such high energy from the beginning to the very end. To Chelsea and Corey, I wish you nothing but love and succeed in your marriage. You guys are absolutely amazing and I’m thankful to have shared in your day with you! For more of our favorite Rhode Island Weddings, Click Here!  For questions, or to book your wedding, contact Michael David Photography!